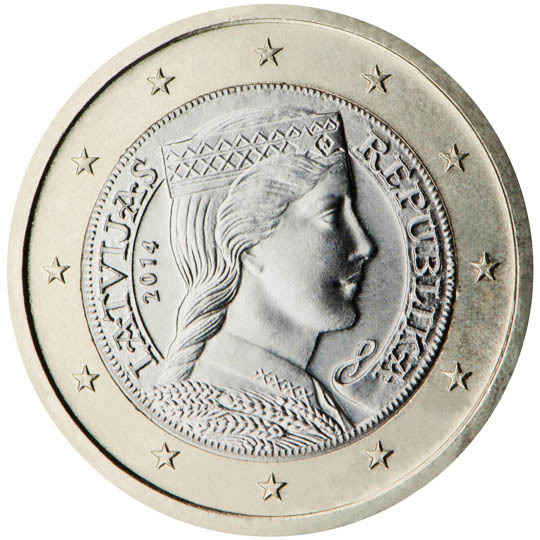 Austria chose to produce a series of coins illustrating flowers, architecture and famous people from its history. 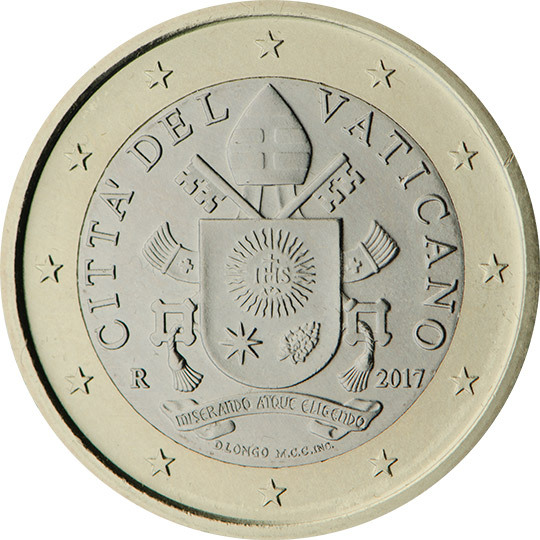 The designs were chosen by a national panel and public opinion poll. 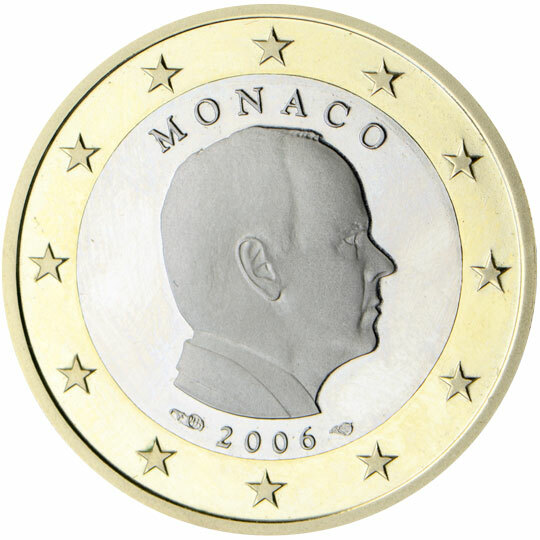 Austrian artist Josef Kaiser created the designs. 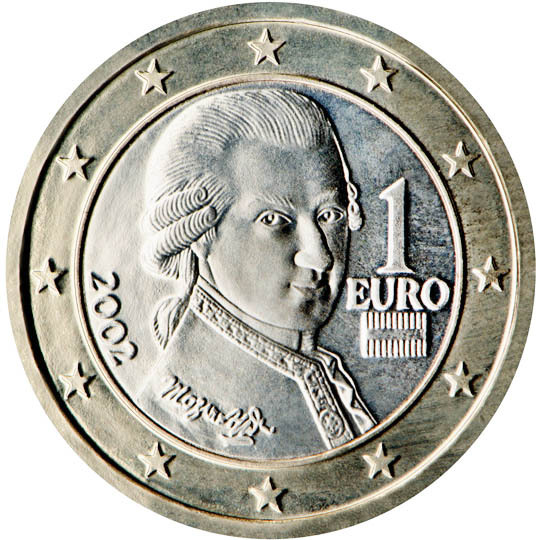 Depicted on this coin is Wolfgang Amadeus Mozart, the famous Austrian composer, in reference to Austria as a land of music. 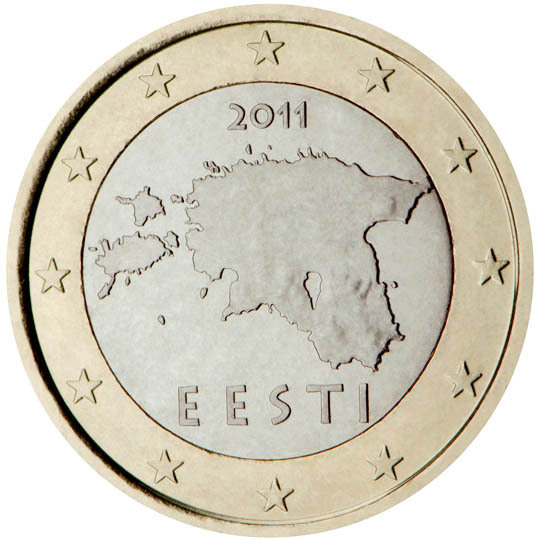 Finland chose three designs based upon motifs similar to those used before on national coins. 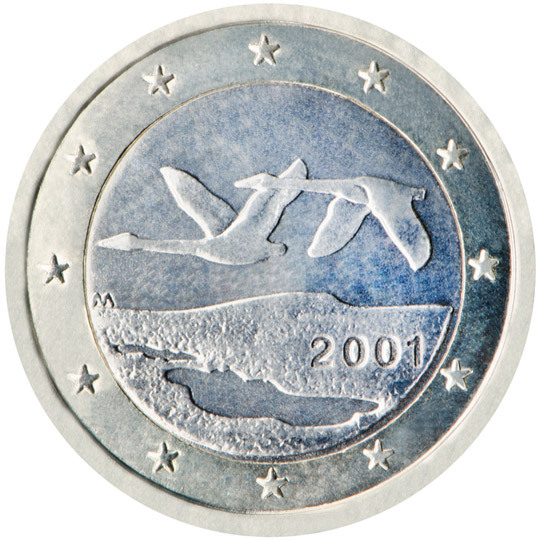 The artist Pertti Mäkinen created a motif depicting two flying swans for this coin. 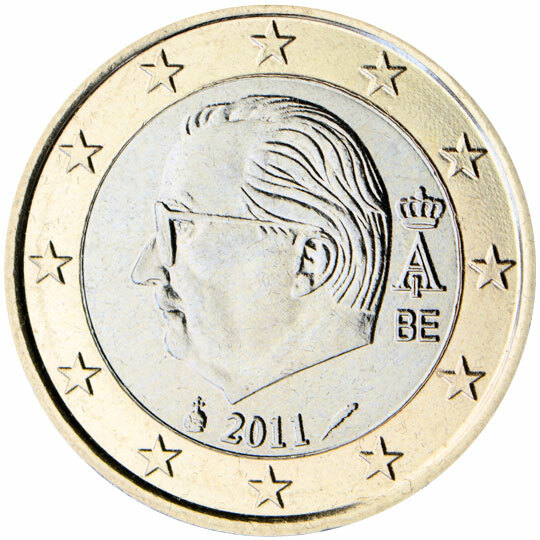 The design was taken from his competition entry for a coin to commemorate the 80th anniversary of the independence of Finland. 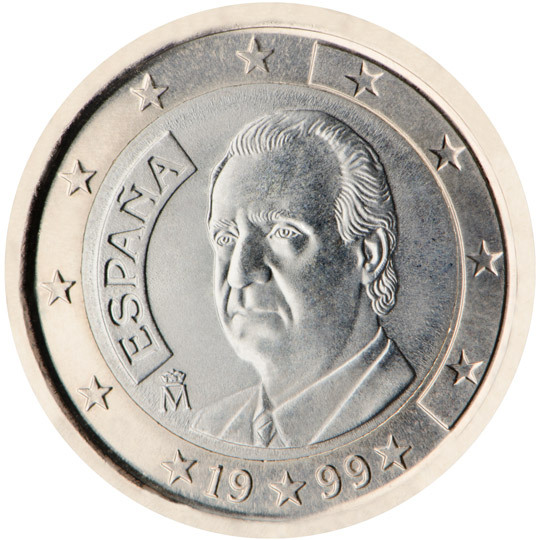 €1 and €2 coins: a tree, drawn by the artist Joaquim Jimenez, appears on these coins, symbolising life, continuity and growth. 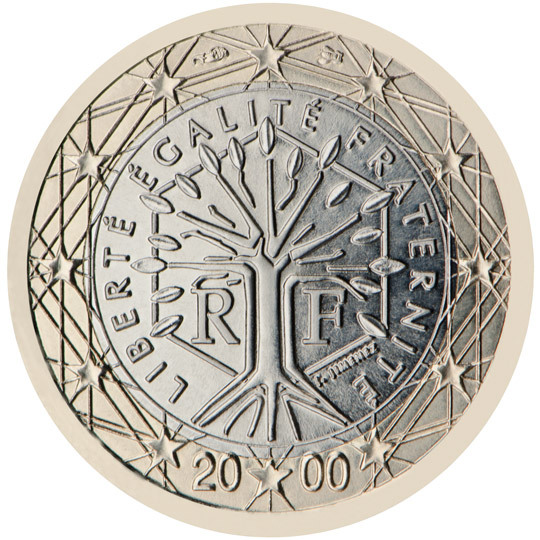 It is contained in a hexagon and encircled by the motto of the Republic, "Liberté, Egalité, Fraternité" (Liberty, equality, fraternity). 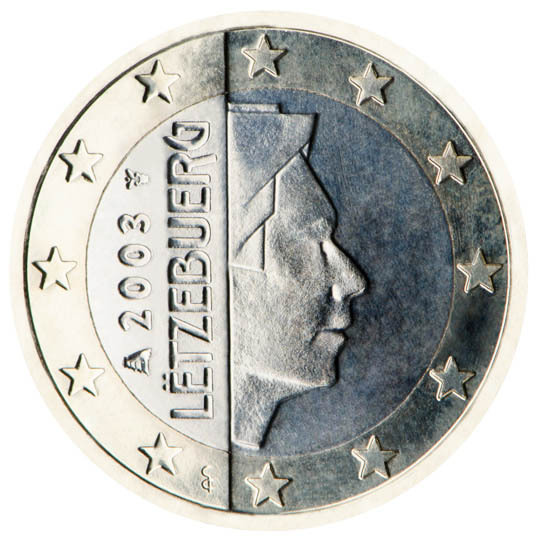 German officials and experts in numismatics chose three different designs for their euro coins. 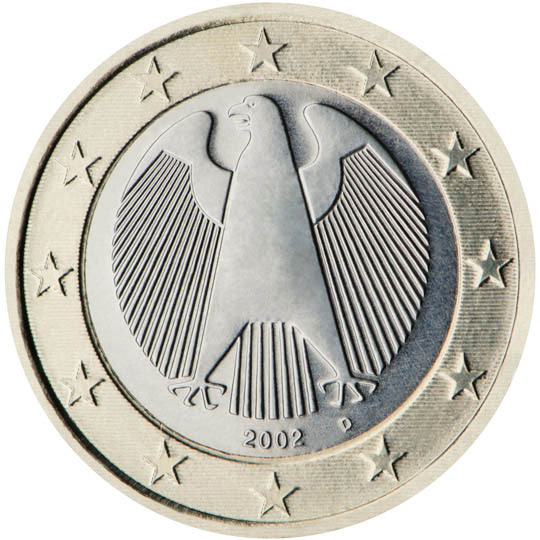 €1 and €2 coins: the traditional symbol of German sovereignty, the eagle, surrounded by the stars of Europe, appears on these coins. 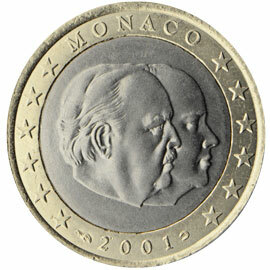 This motif was designed by Heinz and Sneschana Russewa-Hoyer. 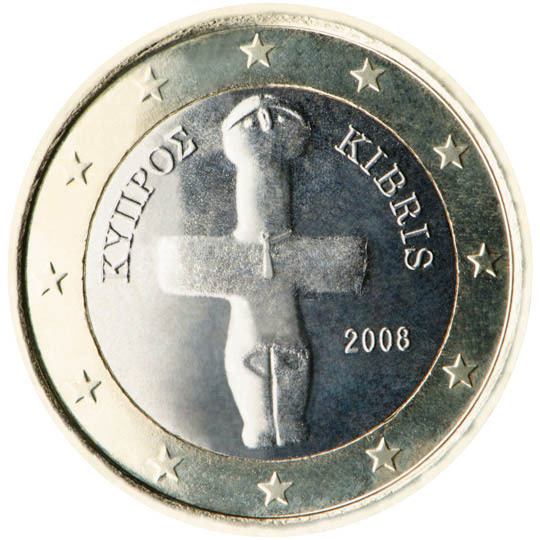 The Minister for the National Economy and the Governor of the Bank of Greece chose the designs for their euro coins from a set of proposals presented by a national technical and artistic committee. 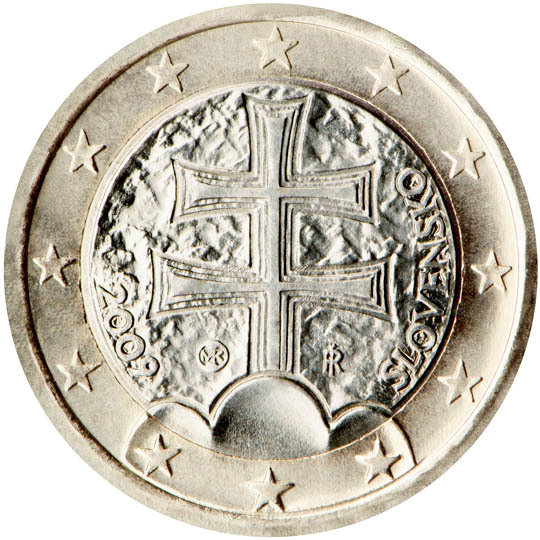 The designer of the winning motifs was sculptor Georges Stamatopoulos, sponsored by the Bank of Greece. 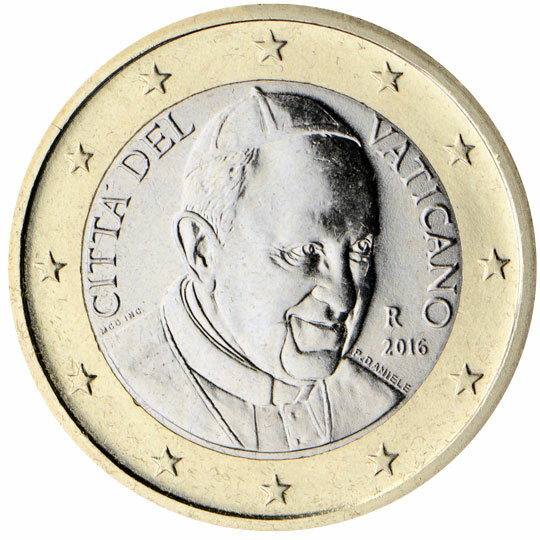 There is a separate design for each denomination. 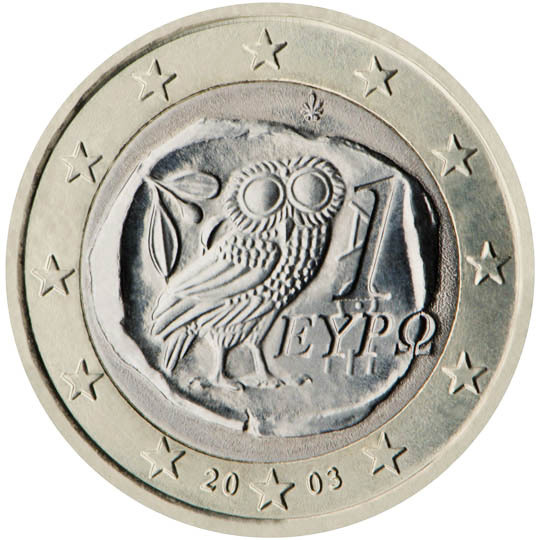 The image of the owl featured in this design was copied from an ancient Athenian 4-drachma coin (fifth century BC). 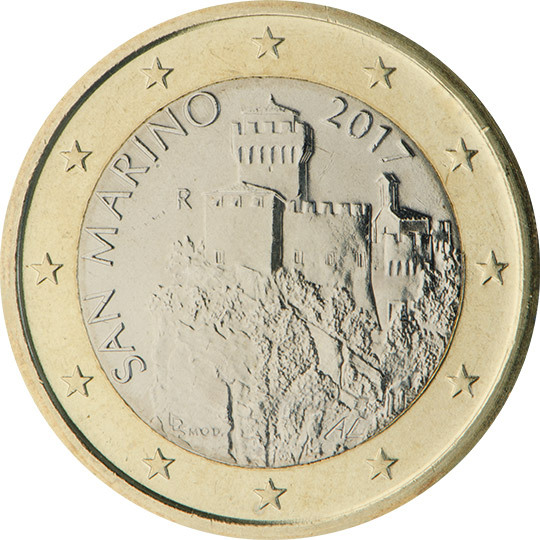 In Italy, the euro coin designs were subject to scrutiny by a national technical and artistic committee before being presented to the nation on RAI UNO, Italy's largest national television station. 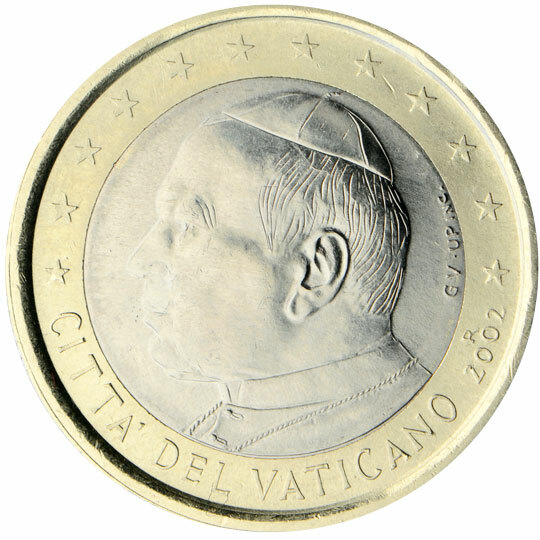 A different design has been selected for each denomination, chosen from masterpieces by Italy's famous artists. 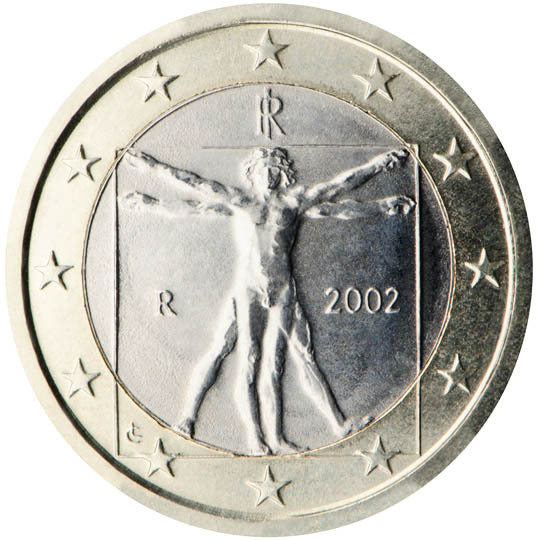 This coin shows the famous drawing by Leonardo da Vinci, displayed in the gallery of the Academy in Venice, illustrating the ideal proportions of the human body. 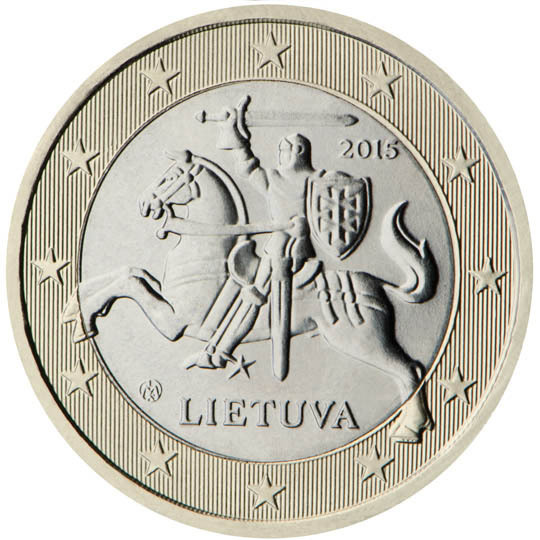 The €1 coin features a Latvian folk maiden. 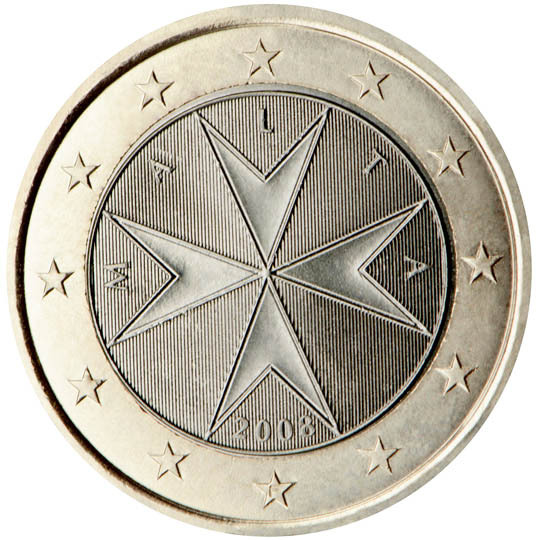 This image was originally used on the silver 5 lats coin in 1929. 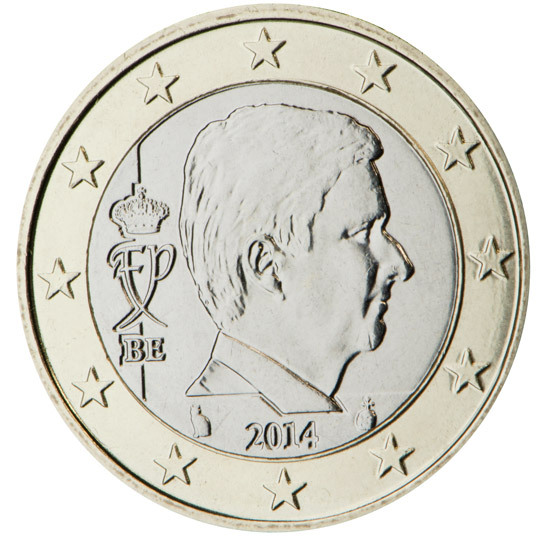 The designer is Guntars Sietiņš. 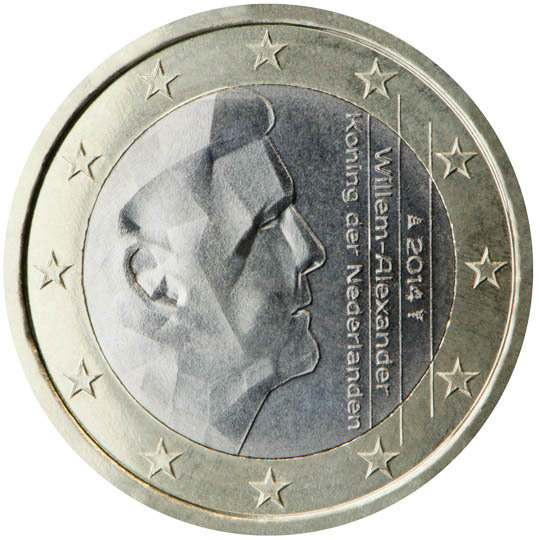 Second series: King Willem-Alexander is shown with the inscription "Willem-Alexander Koning der Nederlanden" (King of the Netherlands). 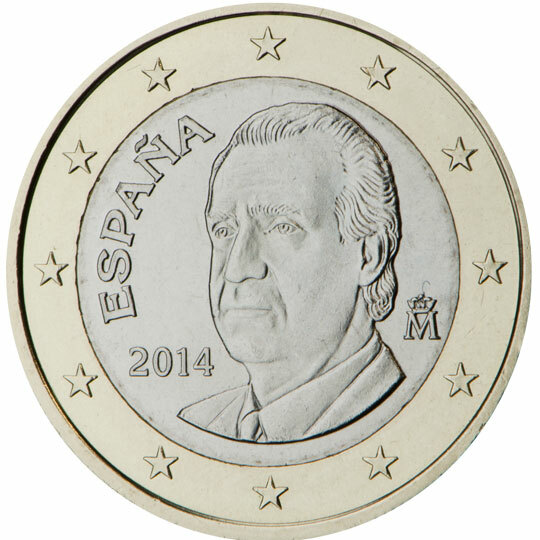 The mint marks appear on either side of the year of issuance. 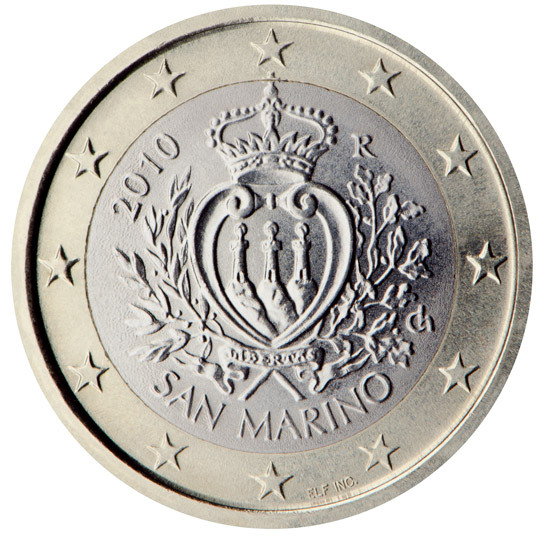 Three different euro designs were chosen from entries to a national competition. 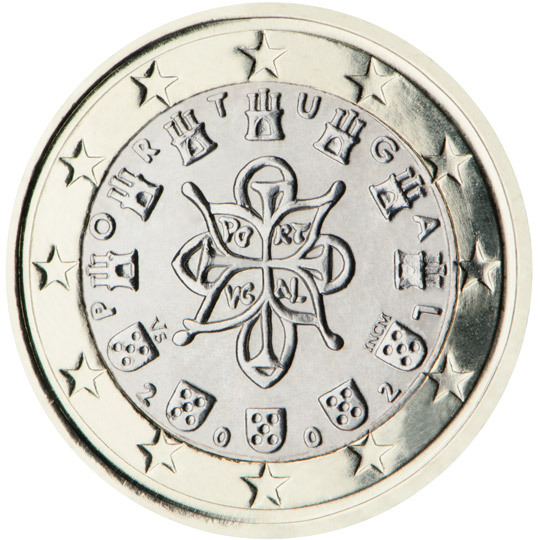 Designer Vítor Manuel Fernandes dos Santos, who drew his inspiration from historical symbols and the seals of the first King of Portugal, Dom Afonso Henriques, won the competition with the following motifs: €1 and €2 coins: the country's castles and coats of arms are set amid the European stars. 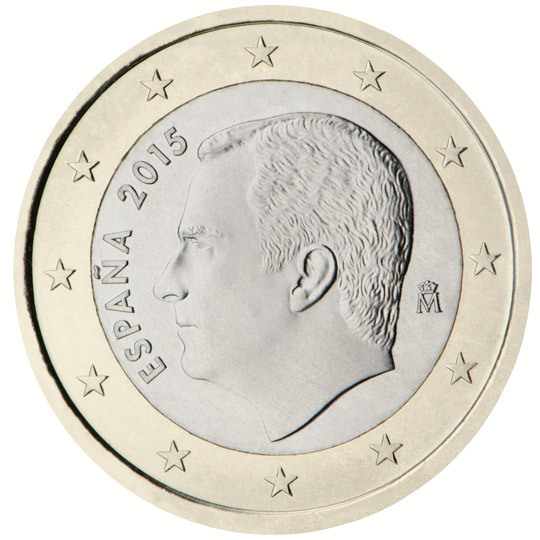 This symbolises dialogue, the exchange of values and the dynamics of the building of Europe. 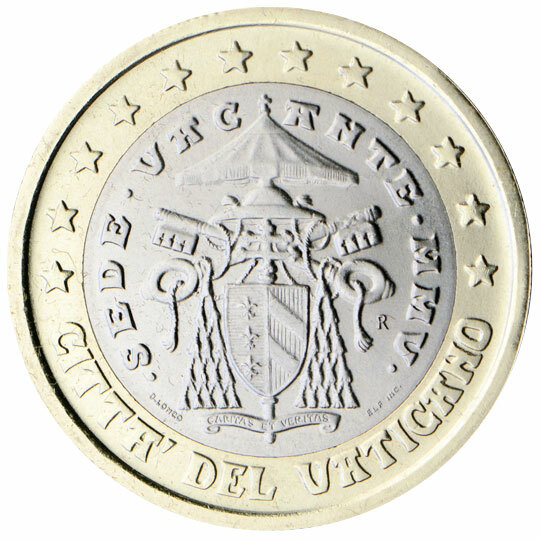 The centrepiece is the royal seal of 1144. 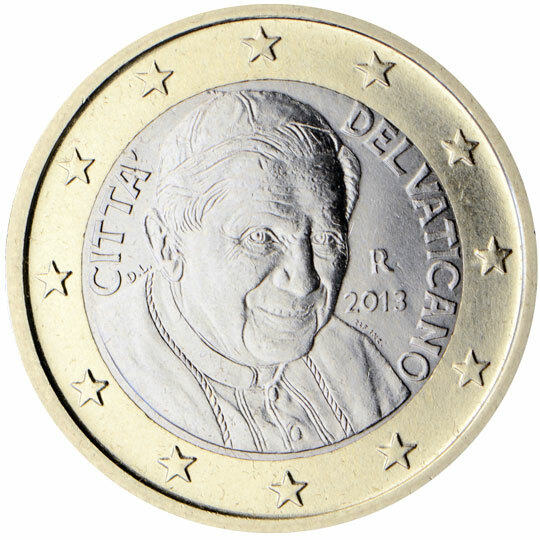 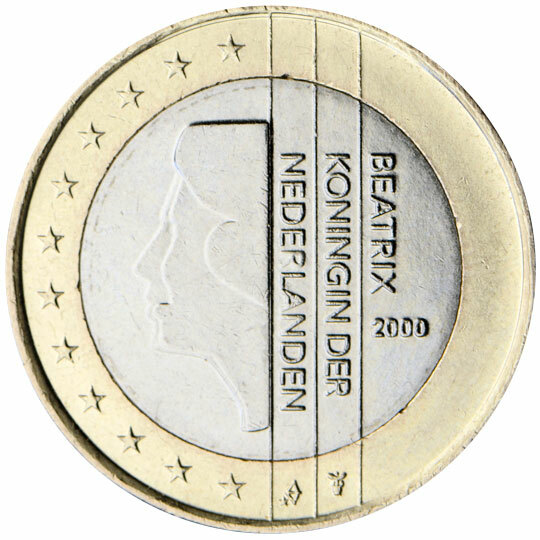 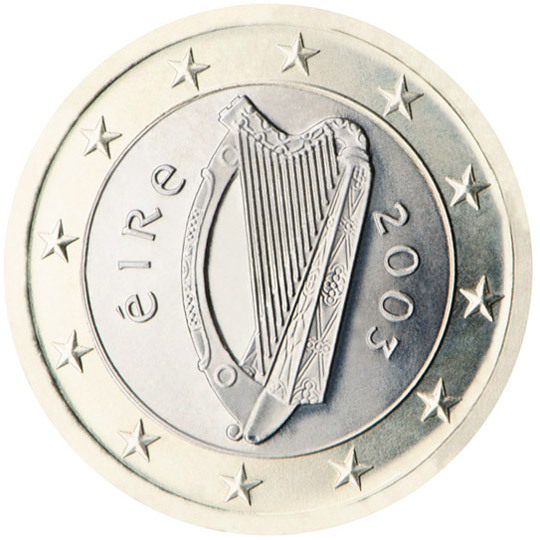 First series: The Republic's official coat of arms features on the €1 coin. 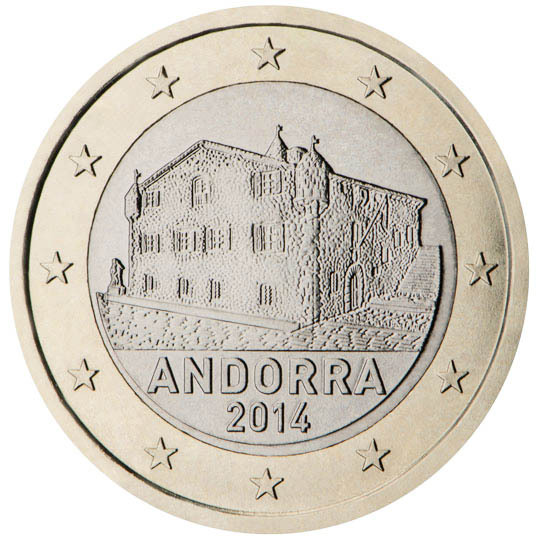 Second series: The Second Tower features on the €1 coin. 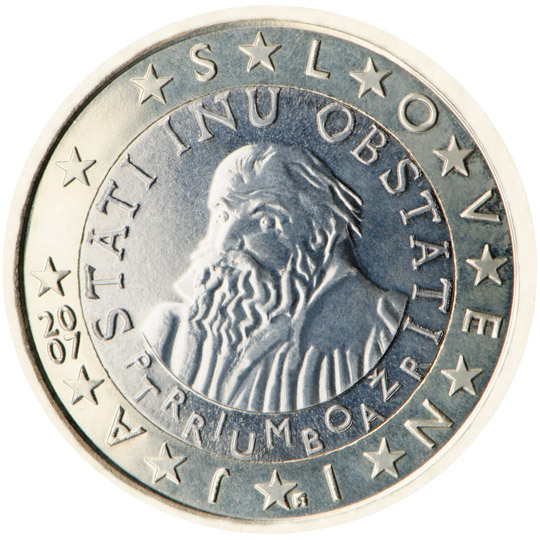 This coin bears a portrait of Primož Trubar, author of the first book printed in Slovene.